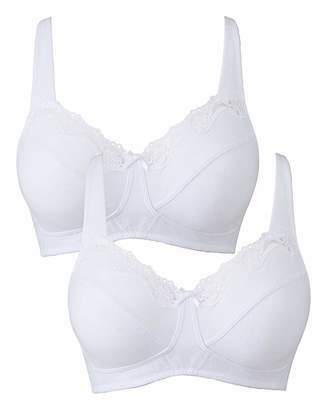 Comfortable yet stylish the Elana 2-pack full cup bras are a must-have addition to your lingerie drawer. 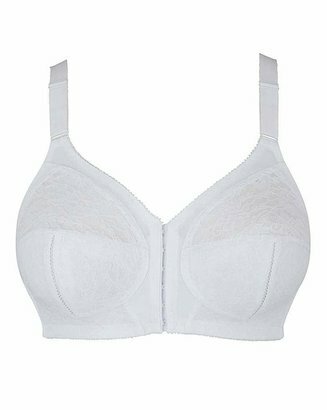 Available in a crisp white and soft blush pink these non-padded bras compliment your natural silhouette meanwhile the underwiring and hook-and-eye fastening provide optimum support. For those wanting a customised fit the adjustable straps are perfect allowing you to lift your bust easily. And to finish things off the beautiful leaf embroidery to the top of the cups adds a touch of elegance.